Best Practice on How to Catch Crappie in Muddy Water Here! Many anglers avoid muddy water when crappie fishing because it’s extremely difficult to fish when your targets can’t see your bait. However, muddy waters offer you a unique opportunity to know more about crappie behaviors and how to take advantage of these. You can even catch more fish than in clear waters! Here, you will learn important tips and tricks on how to catch crappie in murky water. Crappie baits. When the water is muddy, crappie rely on senses other than vision. This helps them know where they’re going and where the foods are. 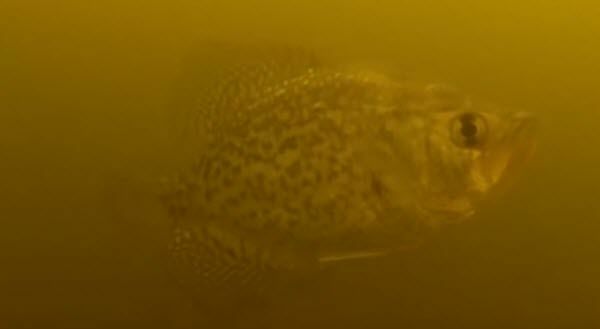 When sight is out of the question, crappies rely on their sense of smell and hearing. They rely on odor, sounds, and vibrations to locate their prey. This means that you, the angler, need to use muddy water crappie bait that give out sounds, vibrations, and odor. Live minnows are good muddy water crappie bait since they give off a strong scent. Rattling plugs and some lipped and lip-less crankbaits make sounds so they are great to use. Using a spinnerbait with one or two Indiana or Colorado blades is a good idea as well since these cause vibrations and noise. When fishing in murky water, lure the fish slowly and steadily. Give them every chance they need to bite. Crappie behaviors. Murky water crappies cling tightly to wooded underwater structures. We think they use these structures as protection in a new or uncertain environment. To catch them, slide a scented jug or live minnow right down along the wood. Crappies also go shallow in murky water because there’s more oxygen in the shallows than deep waters. Another factor that affects your muddy water crappie fishing is the jig color. Many anglers testify that the best murky water crappie jig color is orange mixed with black. However, other great jig colors are red and chartreuse, yellow and white, and pink and white. Bright blue also works great. These are vibrant colors that will stand out better in murky water. 1. Fish deep. Cold water pushes crappies to swim in deeper parts of the water where they have better chances for body temperature regulation. 2. Use fish locators. 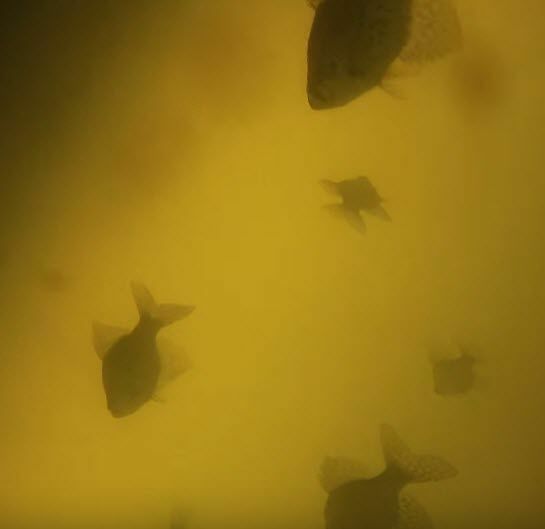 To heighten your chances for success, you should use electronic fish locators to find the exact depths and location the crappies are swimming in. You’ll often find whole schools of crappie through these locators, and it will also save you time fishing in larger bodies of water. Muddy water crappie fishing can be productive and will help you catch crappie all year round if you know tips and tricks on how to catch crappie in murky water effectively. Use scent-tipped and motion-creating muddy water crappie bait. The best murky water crappie jig color is vibrant and easy to see. Crappie fishing in cold murky water also requires you to locate the exact depth of fish. My name is Lonell, and I am a crappie fisherman that learning how to catch crappie in different colors of water. The water here is murky, muddy after a hard rain for a few days. I make my own jigs out of Maribou and kip (calf) hair. Thanks for the colors of jigs to use in murky water.